The Geopark is expanding. During 2018 the western boundary of the Geopark will stretch to Hereford and Ross and include great landscapes such as the Woolhope Dome, parts of the Rivers Wye, Frome and Lugg, Penyard Park and Howle Hill. Look out for the new maps in early 2018 and details of where to go and what to see. 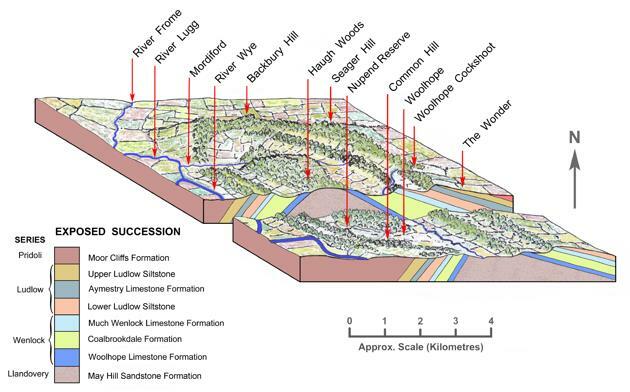 The diagram below shows the geology and landscape of the Woolhope Dome. The Abberley and Malvern Hills Geopark is driven by local organisations, the Geopark Forum, seeking to celebrate the Geopark and achieve sustainable ventures through geotourism and associated initiatives. The member organisations include major landowners, councils, museums, county geoconservation groups, heritage buildings, geology and other special interest groups and major tourist and leisure organisations. Chris Darmon, geologist extraordinaire and award winning educationalist graduated from Hull University with a geology degree in 1974. Upon graduation Chris undertook a PGCE course at Keele University, which led to a position teaching geology at a Sheffield school. Nowadays Chris continues to work in education as an independent adult tutor. He also organises and leads geological tours across the UK and also to Iceland and Tenerife. Chris is well known to many for his passion for geotourism and for his communication of geology to the general public. Few people have the breadth of knowledge that he has amassed over the past 35 years. Alongside his geo-education Chris is director of Geosupplies, a specialist supplier to geologists across the world and is editor of Down to Earth a national geological magazine. Abberley Hills Preservation Society. Formed in July 1977 the society’s objectives are to promote interest in the Abberley Hills, in their history and natural history and to preserve the amenities of the area for the public benefit. Bewdley Museum is situated in a historic Butchers Shambles. Fascinating displays give an insight into the history of Bewdley and the trades and crafts of the Wyre Forest area. Plenty to see and do for the whole family, brass foundry, jails, resident crafts people, air raid shelter tours, varied exhibitions and events, lovely gardens & café. Bodenham Arboretum- Worcestershire’s hidden Garden. A mile long drive winding through undulating countryside gently climbs to the brow of the hills to reveal a secret garden nurtured since 1973. An oasis of plantations, pools and avenues beautifully landscaped including over 3000 species of trees and shrubs from all over the world. Integrated within the arboretum is a working farm and an award winning Visitor Centre set in the hillside and overlooking the big pool. BrooksDesign produce bespoke applications (apps) for mobile and desktop platforms across multiple operating systems, with a specific interest in apps for geotourism and geoconservation. The Cob House is set in an idyllic location in the heart of the Abberley and Malvern Hills Geopark, one of the Cob House’s aims is to engage visitors of all ages to the delights of the Geopark. The Cob House will be offering a range of fun andinteractive educational programmes including those on a geology theme. Forestry Commission. The Wyre Forest is a fantastic place to enjoy the fresh air and and have fun outdoors. There is something for everyone all year round, from walking and family cycling to Go Ape, learning and adventure play. The Wyre Forest Discovery Centre, located on the edge of the ancient Wyre Forest, is the ideal place to get groups engaged with nature and the great outdoors. They run a wide range of a programmes for schools which enhance the National Curriculum, and a range of fun activities for children and families all in a safe and fun learning environment. Geologists in the Geopark are a group of amateur and professional geologists who actively support the Geopark and assist other members of the Forum. Gloucestershire Geology Trust (GGT) is a registered charity, a founder member of The Geology Trusts and one of the leading geoconservation organisations in the country. The Trust was set up in 1992, with the aim of surveying and recording Regionally Important Geological Sites (RIGS).GGT also carry out conservation work on important geological sites; they hold the Geological Records Centre for the county; produce a variety of publications; run a highly successful Rock & Fossil Roadshow programme and offer a variety of events throughout the year. ‘Land of the Living Dinosaurs’ at West Midlands Safari Park is the UK’s largest animatronic Dinosaur attraction. This immersive walking trail features 38 life size dinosaurs, each with moving eyes, mouth and neck. The exhibit is heavily themed, landscaped and planted with copious amounts of flora, including tree ferns, gunnera, reeds and monkey-puzzle trees. Sound effects indicative of the lost world add atmosphere, whilst static fossil displays, a volcanic vent, three pools and a geyser intensifies the whole experience. 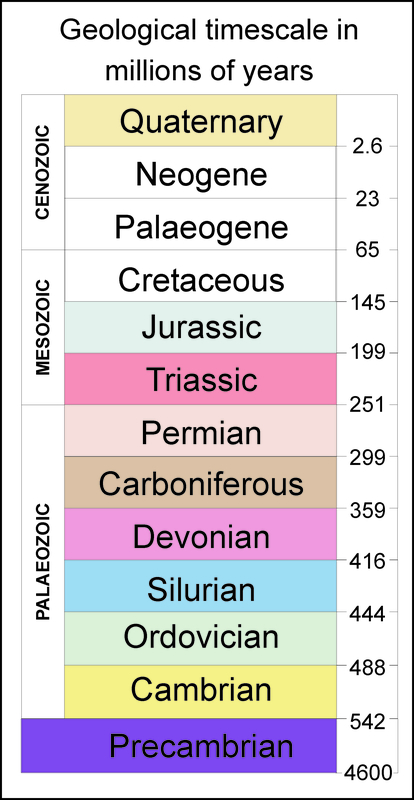 It is a journey that spans four ages of dinosaur reign – Permian, Triassic, Jurassic and Cretaceous. Museums Worcestershire comprises three fantastic venues – The County Museum at Hartlebury Castle, Worcester City Art Gallery & Museum and the Commandery… The collections and exhibitions at our sites are many and varied,covering centuries of the county’s history right up to the present day. Thousands of objects, including the historic buildings themselves, are brought to life through innovative exhibitions and events throughout the year. Scenesetters countryside interpreters and publishers. For all types of countryside and environmental interpretation. Severn Valley Railway operate steam trains along this superbly restored branch line most weekends of the year, daily from late Spring to early Autumn. In addition the railway operates throughout all local school holidays. The Railway boasts one of the largest collections of working steam locomotives and coaches, including some rolling stock, which is over 80 years old. Freedom of the Line’ train tickets offer the best value fare. They permit unlimited travel on the day of your visit and include FREE admission to The Engine House Visitor Centre. No visit to the SVR is complete without going to the Visitor Centre at Highley. Shropshire Council are proud to be part of the Abberley and Malvern Hills Geopark. Severn Valley Country Park sits in a prominent position in the Severn valley in an area of particular geological significance. The geology of the valley has been exploited through sandstone quarrying and coal mining over many years. This left a landscape scarred by industry. After a massive land reclamation scheme, Severn Valley Country Park was born. It is now a thriving 126 acre Green Flag award-winning park. With a large car park, teashop, visitor centre and toilets as well as a childrens play area it is a great day out for all the family. The waymarked walking routes mean that the park is a fantastic gateway for exploring the Geopark. 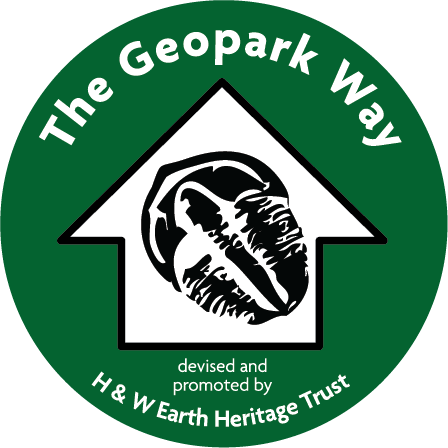 The Geopark Way passes through the park for those who prefer longer walks! Transport in the Landscape Group are an association of both amateur and professional enthusiasts who share a common interest in transport systems, with particular reference to the way these networks interact with landscape and the natural environment. As such, our participants include transport historians, economic and social historians, economic and social geographers, geomorphologists, engineering geologists, economic geologists, environmental scientists, industrial archaeologists and civil engineers. They endeavor to foster public awareness and interest in a wide variety of transport systems including river and canal navigations; various road transport systems – from prehistoric to present day – and all manner of rail systems. The latter range from the earliest wooden rails, via tramroads and plateways to modern railways. The commonality and interface of all these systems and their shared relationship with settlement patterns such as harbours, river ports, collieries and manufactories will be obvious to all of us and thereby forms part of our remit. Woolhope Naturalist’s Field club Geology Sections origins reach back to the founders’ interest and research in the geology of the Woolhope Dome and its Silurian stratigraphy, dating from the mid-19th century. Amongst other subjects, geology has featured in its activities ever since. However, in November 2002 a specialist Geology Section was formed so that this field of interest could be pursued more actively, both by enthusiasts within the Club and other prospective members. Participation is open to all existing (and prospective) members of the Woolhope Club, with a programme of meetings and field excursions arranged each year. Worcester Cathderal is one of England’s loveliest cathedrals. With royal tombs of King John and Prince Arthur, medieval cloisters, ancient crypt and chapter house, and magnificent Victorian stained glass. There is also a fascinating ancient library and archive, which houses the second largest collection of medieval manuscripts in any cathedral in the UK. Worcestershire Archaeology and Archive Service. Under their care thousands of archaeological sites, historic buildings and landscapes are recorded and 12 miles of original archives are collected and preserved. These are made available to customers under the guidance of friendly, knowledgeable and experienced staff. All types of research on Worcestershire people and places can be undertaken using the comprehensive resources of the Historic Environment Record and the archive collections.